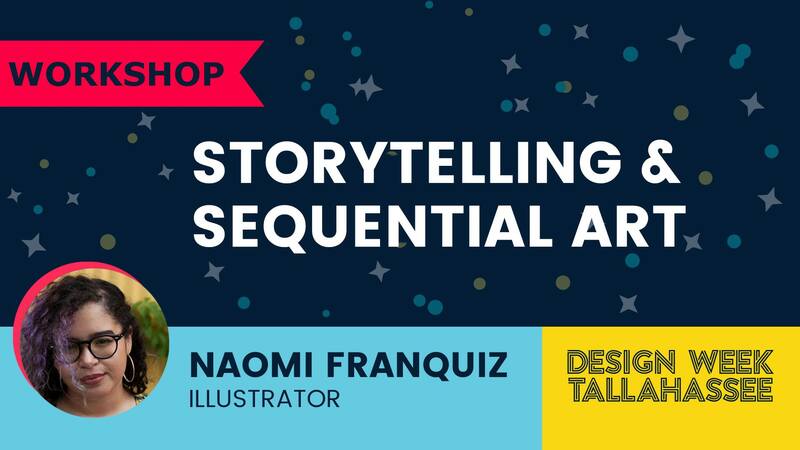 FSU Art BFA ’13 Naomi Franquiz is giving a live demonstration and talk about the visual storytelling and direction of sequential art (aka comics). Not confident in your art skills? That’s totally okay – stick figures work just as well, too! The main goal of this workshop is to learn how to plan a scene/story. Learn about the terms and techniques to making a story from start to finish, and get a hands-on experience creating a page of your own in this three-hour workshop. Attendees are encouraged to bring own preferred tools & paper if they have them/want to use them.